Memory has taken centre stage in European-level policies after the Cold War, as the Western historical narrative based on the uniqueness of the Holocaust was being challenged by calls for an equal condemnation of Communism and Nazism. 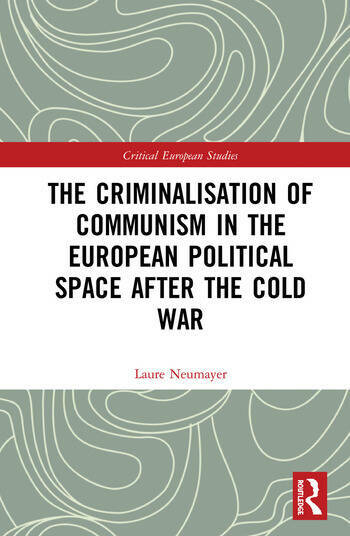 This book retraces the anti-communist mobilisations carried out by Central European representatives in the Parliamentary Assembly of the Council of Europe and in the European Parliament since the early 1990s. Based on archive consultation, interviews and ethnographic observation, it analyses the memory entrepreneurs’ requests for collective remembrance and legal accountability of Communist crimes in European institutions, Pan-European political parties and transnational advocacy networks. The book argues that these newcomers managed to strengthen their positions and impose a totalitarian interpretation of Communism in the European assemblies, which directly shaped the EU’s remembrance policy. However, the rules of the European political game and recurring ideological conflicts with left-wing opponents reduced the legal and judicial implications of this anti-communist grammar at the European level. This text will be of key interest to scholars and graduate students in memory studies, post-Communist politics and European studies, and more broadly in history, political science and sociology. Laure Neumayer is Assistant Professor of Political Science at University Paris 1 Panthéon Sorbonne and Researcher at CESSP laboratory (CNRS), France. She has co-edited the book History, Memory and Politics in Central and Eastern Europe – Memory Games (2013).